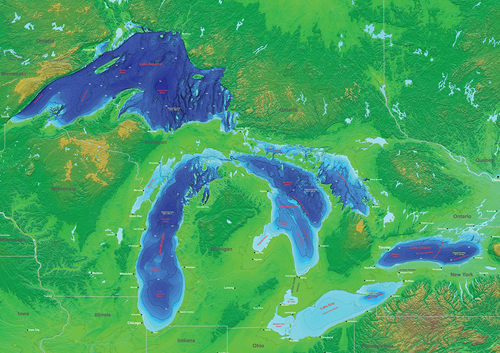 "For in their interflowing aggregate, those grand fresh-water seas of ours,--Erie, and Ontario, and Huron, and Superior, and Michigan,--possess an ocean-like expansiveness, with many of the ocean's noblest traits . . . they float alike the full-rigged merchant ship, the armed cruiser of the State, the steamer, and the beech canoe; they are swept by Borean and dismasting blasts as direful as any that lash the salted wave; they know what shipwrecks are, for out of sight of land, however inland, they have drowned full many a midnight ship with all its shrieking crew." 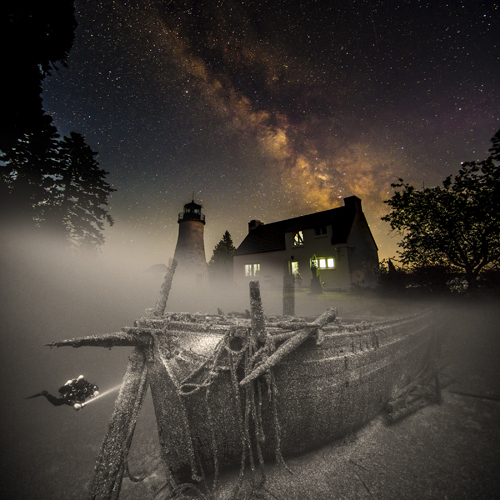 The waters off Presque Isle, Michigan contain some of the most remarkably preserved shipwrecks that I have ever seen.